"We have demonstrated that in two sites along the south coast of South Africa that may have housed the origin population for all modern humans, our ancestors thrived through this volcanic event," Cleghorn, a UTA associate professor of sociology and anthropology, said. "This may have been the combined result of the uniquely rich resource base of the region and a highly resilient adaptation – a hunting and gathering economy wielded by a modern human with an advanced cognition and high levels of cooperation," she added. The scientific team found microscopic glass shards that had travelled nearly 9,000 kilometers from the eruption site and landed in the archeological sediments of two sites on the south coast of South Africa. One was a rockshelter at Pinnacle Point where people lived – sleeping at night, cooking food and sharing stories around the campfire. The others were at an open-air site just nine kilometers away, a location where humans collected stone and processed it for future tool manufacture. "Finding the shards from Toba at these two sites means that we can link the sites at a temporal precision of about two weeks and say that the people at the sites were almost certainly of the same social group, and link activities at one site to the other," Cleghorn said. "For archaeologists, that is an extraordinary result." Cleghorn began working with the Pinnacle Point archeological project directed by Dr. Curtis Marean of Arizona State University in 2011 and was invited to collaborate on the Toba project in 2012. After working on Pinnacle Point for four years she began research at her current site at Knysna, about 80 kilometers east of Pinnacle Point. "We know that shortly after Toba, modern humans left Africa and conquered the planet," Cleghorn added. "My work at Pinnacle Point and now at Knysna aims to develop a high-resolution chronology of human evolution and social adaptation during that time." The Toba shards provide a very reliable and precise means to date sites and could help tie together the chronologies of many sites across Southern Africa. 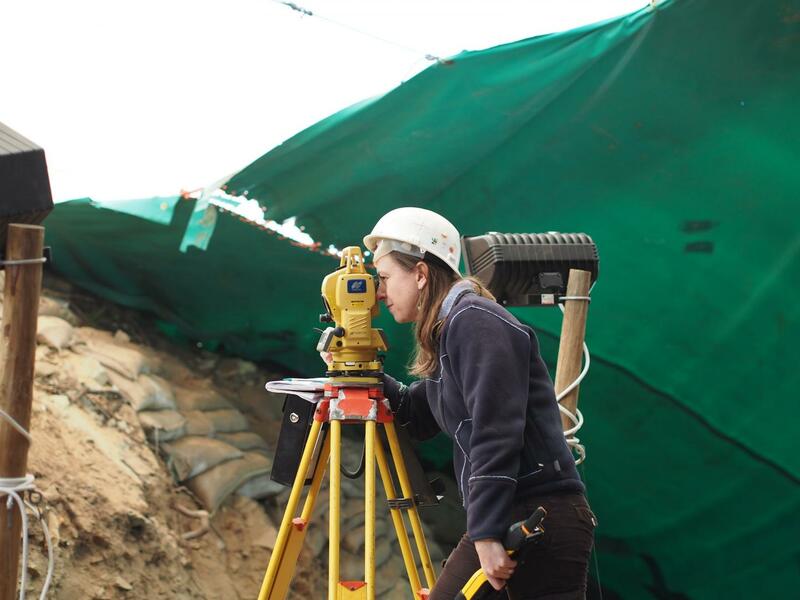 Once two sites were identified, the process is extending to other sites, including Knysna, Cleghorn's current dig. UTA's support was instrumental in getting Cleghorn's project started at Knysna. Cleghorn used a Research Enhancement Program grant to run the initial test excavation, which provided the evidence needed to attract external funding for the project over several years from the Leakey Foundation, National Science Foundation, Templeton Foundation and Hyde Family Foundation. The College of Liberal Arts also supported research into mineral pigment use at the Knysna site. So far, some dozen UTA students have participated in the Knysna field project, and this year Cleghorn is taking five current or former UTA students info the field with significant funding support. "Naomi Cleghorn's work is foundational to paleosciences and her significant funding also demonstrates the value that leading foundations give to her work," said Elizabeth Cawthon, dean of UTA's College of Liberal Arts. "It is also cross-disciplinary work linking UTA's strategic themes of global environmental impact and sustainable urban communities."